According to Maya Mythology, the world began on August 13, 3114 BC. 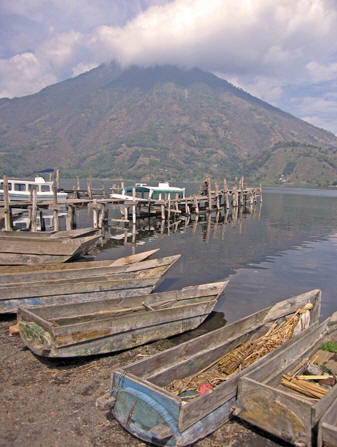 In keeping with this creation story, the world was created right here at Lake Atitlan, in the city of Santiago out of the sky and the primordial waters that covered the earth, the remains of which are still in Lake Atitlán today. On that day, the gods lifted 3 large mountains out of these dark waters creating a cosmic hearth. They then struck lightening into that hearth, charged the world with new life, and the next Maya era began. In the perspective of the living Maya of Guatemala, each Maya era has a 5,125 year cycle. They teach that we have been through fire, earth, air and water already. The next cycle will be the cycle of ether - the substance believed to compose all heavenly bodies - and is set to begin on December 21, 2012 AD. These dates are about as precise as one can get for the beginning and end of recorded history. We wanted to speak with Mayans first hand and find out for ourselves what they thought about the end of the world. 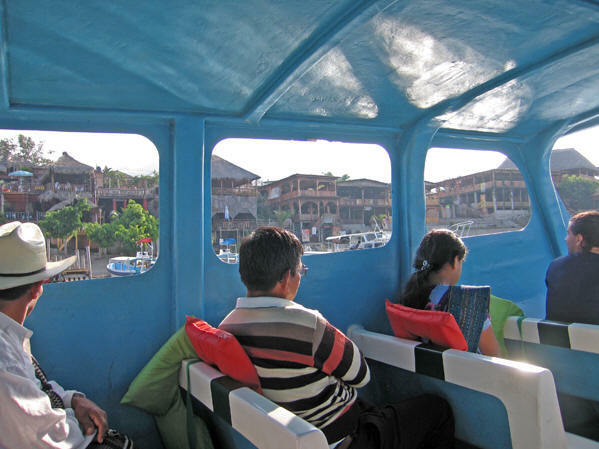 So we took a 25 Quetzales boat ride across Lake Atitlán to the first city in the world, Santiago, Atitlán. The exact location of the beginning of the world! 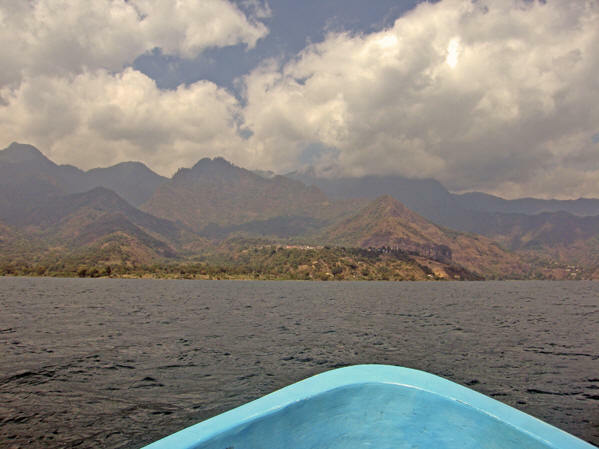 Our destination is south across the lake about an hour from Panajachel to the shore of a lagoon squeezed between these two volcanoes of Toliman and San Pedro. 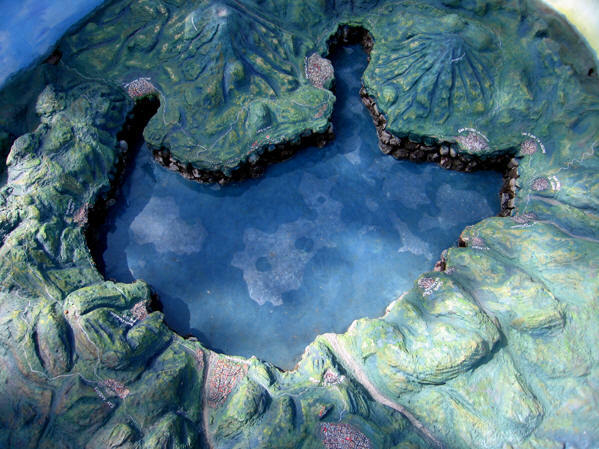 A papier-mâché model of Lake Atitlán showing the cities built around the lake and the three volcanoes which encircle the waters: Volcan Toliman, Volcan San Pedro and Volcan Atitlán. Science tells us today that the first volcanoes in this region originated 150,000 years ago. But 85,000 years ago Los Chocoyos blew, and the volcanic ash from this eruption was found as far as what we call Florida and Panama today. The amount of magma that discharged from this geological event caused the surface to collapse forming a huge hollow which soon filled with water. 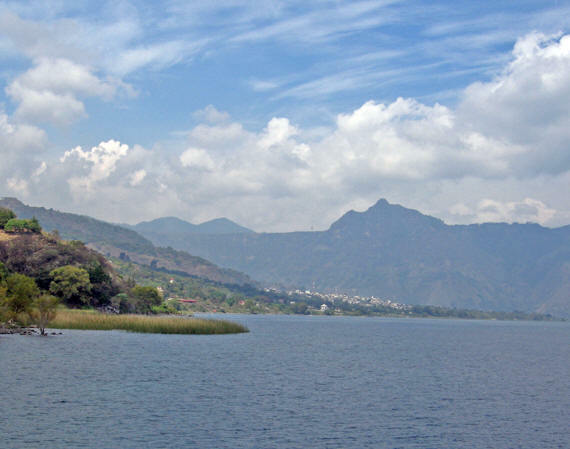 Thus, Lago de Atitlan was created. The 3 volcanoes we see today rose up thousands of years later creating the dramatic vistas that make this area virtually unsurpassed in beauty. Here we show you our boat route for the day. Leaving Panajachel, an hour later we arrive at Santiago. 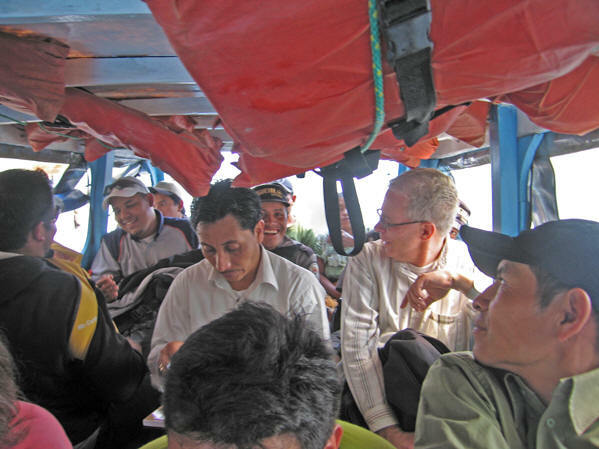 Then off to San Pedro, then San Marcos, and - fighting the heavy winds that rise up every afternoon making boat travel dangerous and unpleasant - we head back to Pana for the night. 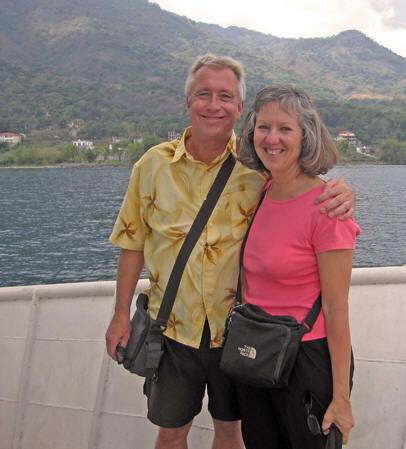 Tourists on Lake Atitlan boat tours experience rough and dangerous waters. It definitely isn't like the relaxing NYC boat tours around the Statue of Liberty! All of our books lead to adventure. 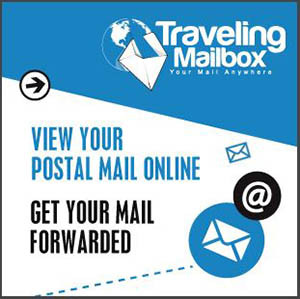 Don't miss out on yours! Launches that go across the shore are lined up at the lake and depart at the foot of Calle del Balneario. 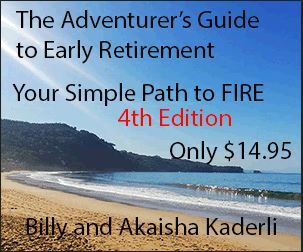 If you want to plan a personalized boat trip, it will cost you considerably more than the public launches. Seeing other towns on the lake is worth the time, even though there are two different price systems in place: one for the tourists and one for the locals. Making plans to go to other locations around El Lago are best done with a bit of planning. The day before, check out which boats go where and at what time. Bring water and maybe some travel food so you are covered in case of long waits. 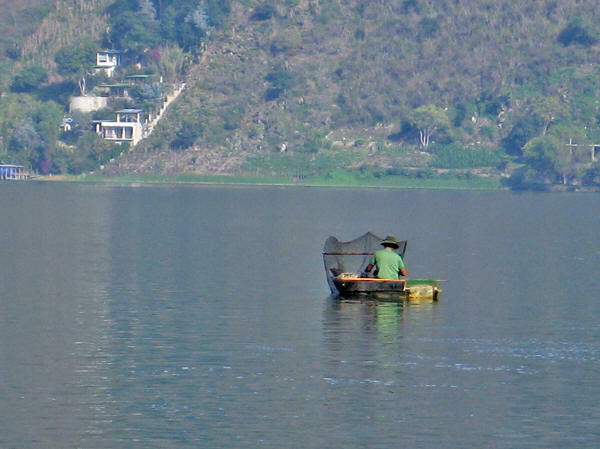 In the mornings, the surface of the lake is normally calm and glassy, but by early afternoon the xocomil, 'the wind that carries away sin' blows and churns up the waters, making them dangerous and uncomfortable to travel. It can be a hair-raising experience... one of which we had no clue! Mayans say that if it is a north wind, then the spirit of the lake has claimed a soul and is casting out a drowned body. 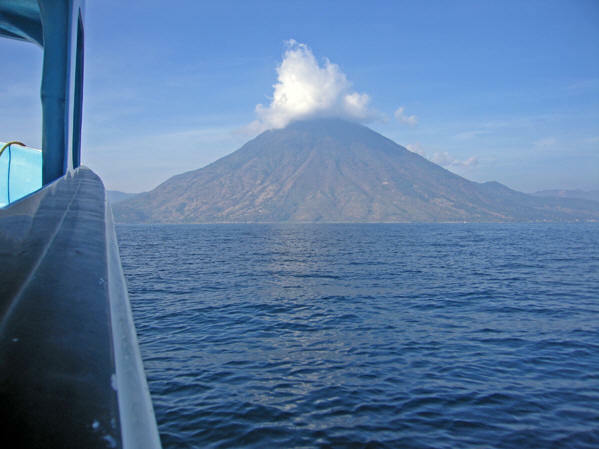 Traveling across these ancient waters, thinking of the Mayan Calendar and their Creation Myths, watching the volcano looming in the distance made for a sense of expectation. But even putting all that fantasy aside, the beauty of our surroundings is indisputable. The lake measures 18km by 12km at its widest point. Being over 300 meters in depth with no visible outlet, draining occurs through an underground passage to the Pacific Coast. 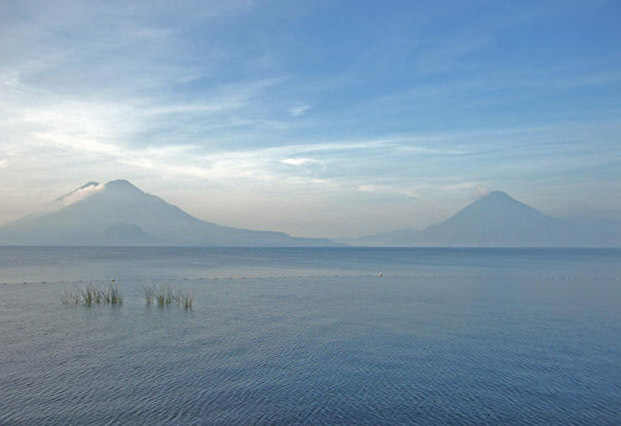 This lake is recognized as the deepest lake in Central America and its bottom has not been completely sounded. Comparatively, Lake Tahoe in California is 35km by 19km and at its deepest is 501 meters, with an average of 305 meters. These waters are glassy and calm and Pana seems very peaceful. Hard to imagine a Civil War raged in this country for over 3 decades. Violence was difficult for the Maya living around the lake from 1980 to 1990 with death threats, woundings, assassinations and disappearances being commonplace. 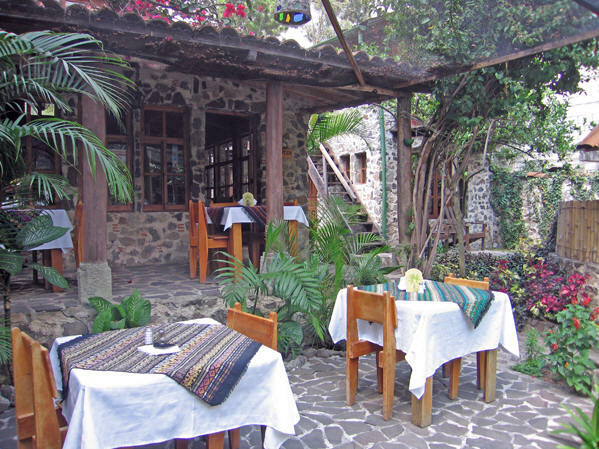 Santiago, Atitlán is in the southwest corner of the lake in a sheltered horseshoe inlet lagoon. 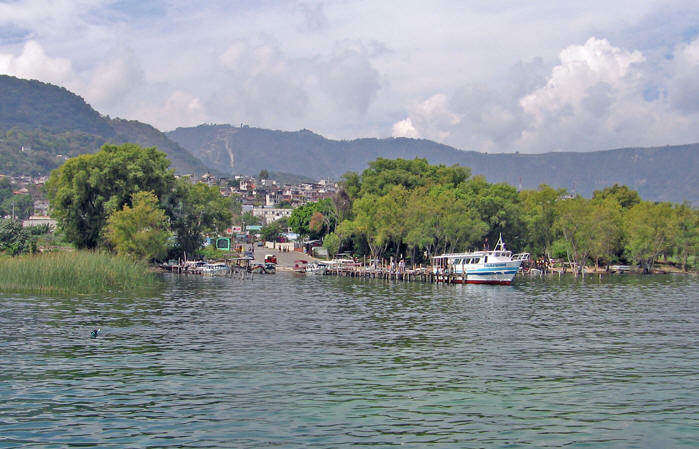 It is the largest and most important of the lakeside villages and one of the most traditional. The main center of the Tz'utujil-speaking Maya, today it's an industrious yet relaxed sort of place. The city rises steeply from the lake shore as seen by the pitch of this street. 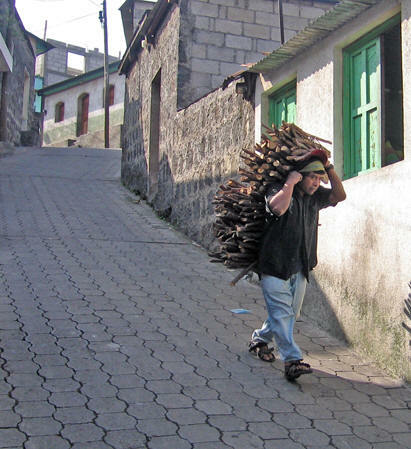 Around the world we often see natives carrying heavy loads in this manner. Firewood, baskets of vegetables or sacks of potatoes, a wide strap is attached to their burden and braced by their foreheads. A small plaza where we saw a smattering of vendors selling clothes, vegetables and hand made items. Often in these native cultures, men will wear updated western clothes, but the women are still in traditional dress. Clothes for sale are hanging up against the far wall. This man in typical village Maya dress has his 'store' in front of him. He rings the bell hanging from his belt to announce his location, his hat sitting high atop his head. Simple fishing boats lined up along the shore, launches are tied to the pier. The whole lake area is known for its weavings, and while you can see a fine selection displayed in Pana, coming directly to the villages themselves might get you a sizeable discount. The Maya had a mythology about the creation and destruction of the world. 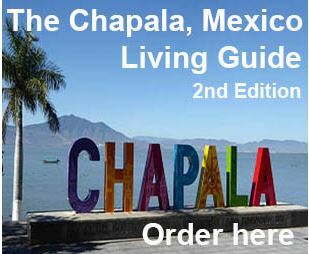 The year 2012, with the end of the current Maya calendar, has long been the subject of speculation. Will the Earth's magnetic poles switch, destroying life as we know it? Will it birth a new age of enlightenment or will it end up being much like the Y2K fizzle in the year 2000? It came, it went and nothing much happened. Walking around, talking to the villagers best we could (Spanish is the Mayan's second language, and ours as well) We asked about their calendar, the Maya prophesies, and the end of the world. We asked them what they expected to happen, if life would go on 'as usual' or would something spectacular happen to change things? Mostly we were met with blank stares, several Maya admitting they knew nothing of the prophesies. (The end of the world?!? Are you sure? But isn't this the place where the Maya say the world began? 'Well, maybe Jesus will appear in the sky' said one woman. 'Good people will go to heaven,' said another. 'And the bad will be punished,' added a third. I anticipated something mystical, something memorable, something tangible, like deliverance from esoteric confusion. Santiago seemed to be just a funky hill tribe village, with current day Maya living their lives, making ends meet, selling vegetables, having children, going fishing, embroidering huipiles. I’m sure we were missing something, but our answers to life's questions weren't here. Back into the boat we go, off to San Pedro (photo center) to see what we could find there. Certainly our doubts and musings about Maya predictions of the future would have to be answered another time, in another place. 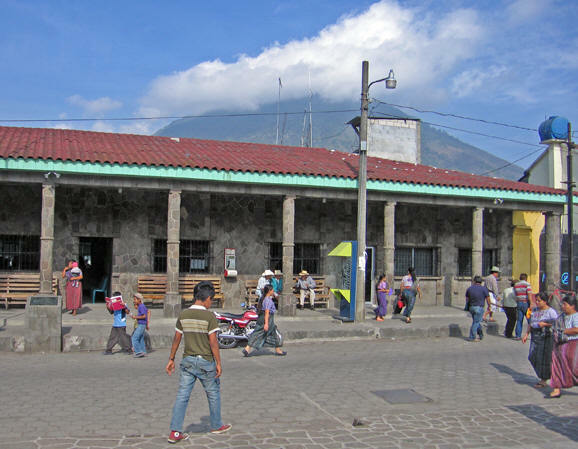 San Pedro has become an important center of Guatemala's traveling scene, even surpassing Panajachel as a visitor's spot. Drugs were a dominant problem in the early 1990's - so much so that the locals wrote to a national newspaper demanding that 'wasted gringos' leave their peaceful town. There are now established language schools here drawing a number of students. What a place to study! Vulcan San Pedro rises to the east to a height of 3,020 meters, and there are swimming holes and sunbathing flats. Tradition in this small town isn't as powerful as in Santiago, and few locals wear native dress. Hiking, biking, canoeing, horseback riding, thermal baths and even a weaving school will occupy any free time one might have. San Pedro is about 30 minutes by launch from Santiago, and 40 minutes from Pana. 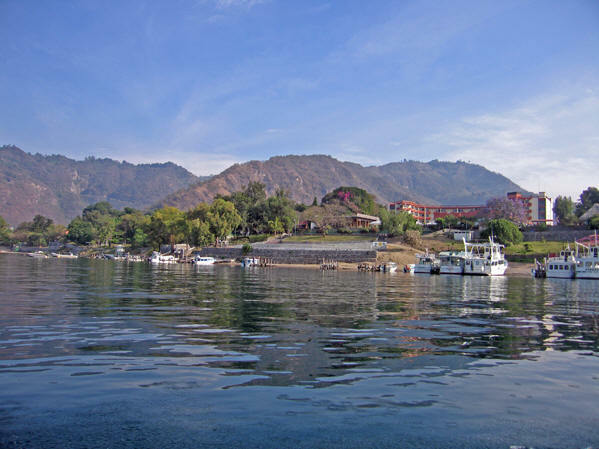 You can also take a bus to this town from Guatemala city and Xela, with regular pickups around the lake from San Marcos and Solola. We were unsuccessful in pursuing the Maya creation and destruction myths in Santiago and found that those profound topics only made us hungry. 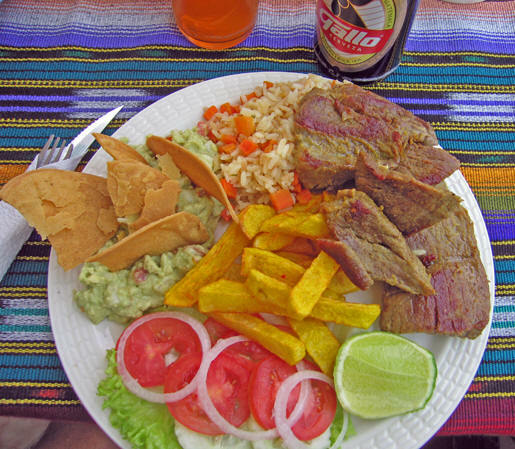 Less than $4US Dollars bought us this full plate of pork, fries, rice, guacamole, fresh tortillas, salad and beverage at Juanita's Restaurant. 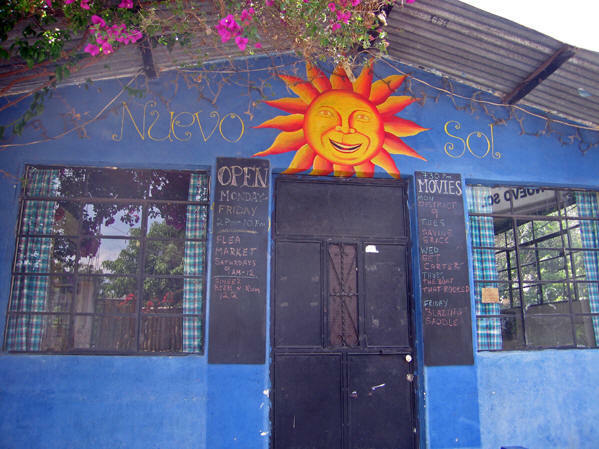 Hippies live in San Pedro peacefully and the backpacker tourists flock here to visit, drawn by the language schools and the physical activities available here in the magnificent setting of volcanoes, the huge lake, decent weather and affordable pricing. Brightly colored buildings with modern artistic flare line the street. 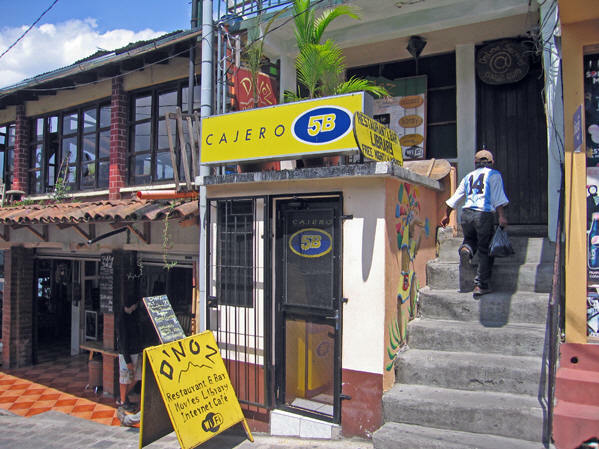 From the moment we disembarked our little launch and walked up the inclining streets of San Pedro, the sense of this place was obviously different from the staid and traditional town of Santiago. It felt more like walking into a small beach or mountain university town in California than being in Guatemala. Certainly San Pedro did not carry the heavy burden of proving to anyone that the gods began all of life, animal and human kingdoms here on their shores. Already there was a sense of fun, of artistic expression of modern individuality. Dirt trails bring you to enchanting places reminding us of Alice in Wonderland. Art studios, restaurants, language schools, massage places, hotels, beautiful marshes to the right leading to the lake and open fields on the left. Same lake, same history, same people, completely different expression! Bamboo fence with tropical greenery and palm trees. It was quiet here in San Pedro and we were astonished at the obvious difference from Santiago. The majority of the inhabitants of San Pedro are Maya Tz'utujil Indians, making up the second largest concentration of indigenous people in Latin America. There are 21 ethnic Maya groups that live in Guatemala, and people here were very friendly and helpful. It was like walking into a secret, beautiful place in the world where life seemed slower and more simple. Hey wow, man, everything was groovy until we went to this ATM machine. We saw a couple of people coming and going seemingly with no problems in receiving cash. But when Billy went in, he had to wrestle with this free-standing ATM. Blank screens, buttons not working, no money coming out, and he waited 5 full minutes before he was able to retrieve his debit card. 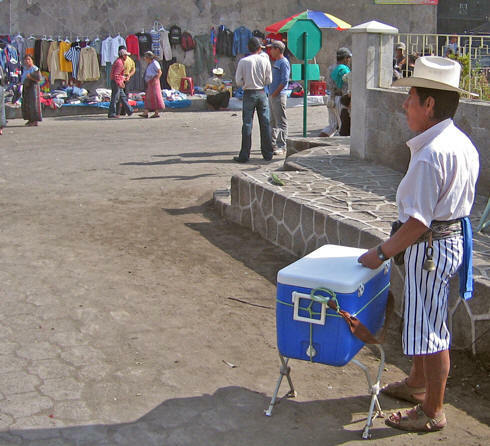 Our recommendation: If you want cash, get it in Panajachel before arriving in San Pedro. Who knows how many bank cards have gone down this rabbit hole! On our way to San Marcos, clouds gathering, waters becoming choppy. Our time was short in San Pedro since we still wanted to find out what San Marcos offered before returning to our hotel room in Pana. 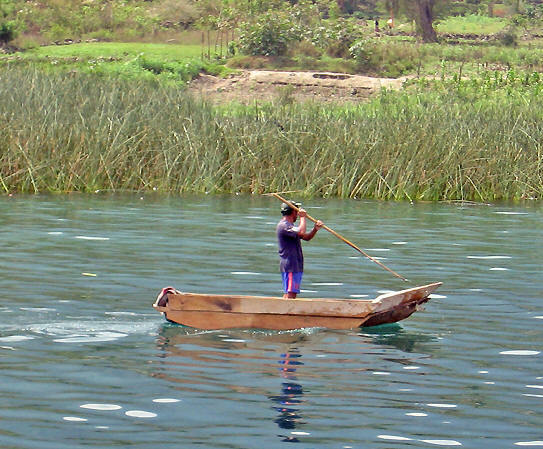 Believe it or not, these boat rides began to beat on us, draining us of our energy. We discussed skipping San Marcos all together, but we had conversed with a man who thought that this small town was his personal paradise. 'I'm opening a Jazz bar,' he said proudly as if the idea was an original one. Well, let's give it a shot. After witnessing the remarkable differences from Pana to Santiago, and from Santiago to San Pedro, curiosity got the best of us and on to this 'paradise' we went. We learned that this quiet little village was considered to have a 'special spiritual vibe' and many foreigners have established businesses here, all around a common healing theme. 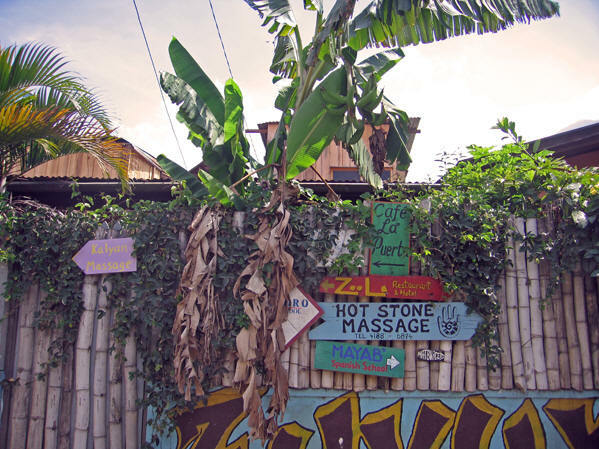 It has become a center, of sorts, for holistic healing methods, massage, yoga, meditation, and Reiki. I don't know how that International Jazz Bar will fit in, but perhaps he will be serving wheatgrass martinis. 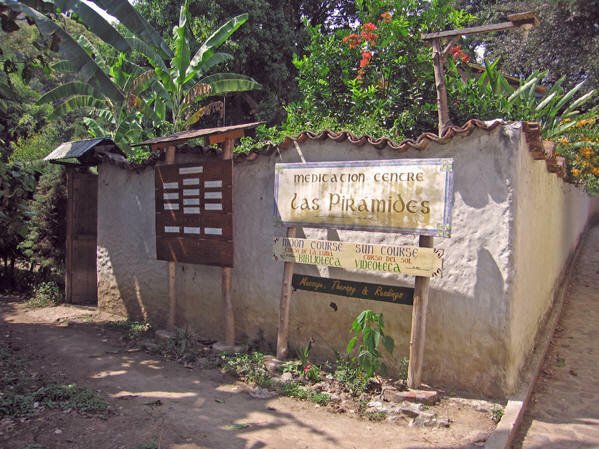 An international spiritual refuge hidden in the Guatemalan Highlands, San Marcos attracts weary travelers, those who want a spiritual spa environment, or those who want to learn esoteric skills. Every structure in Las Piramides is made in the shape of a pyramid and ordered to the cardinal points. You can receive channelings, Tarot readings, take a Moon course (a month-long lunar meditation) or learn yoga. About 2,000 - 3,000 Kaqchikel-speaking Maya live here among the international community. Since 1980, New Agers have gathered here from all over the world, dedicated to an alternative lifestyle. The Indigenous live mostly in the highlands and the New Ager foreigners live in town. If you are looking for tofu burgers, hummus platters or tempeh scramble, this is your place! You can take a 2 hour walk here from San Pedro, or catch one of the regular pickup trucks that ride the roads between the villages. What a day of surprises this has been! Warm sun and clear skies have been replaced by low misty clouds and grey choppy waters. 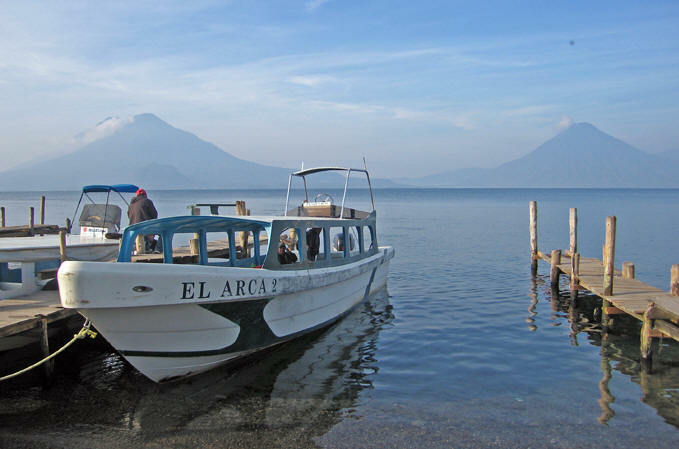 The later in the day you wait to take any water transport, the higher the chance you have of bouncing through cold waters churned up by the mystical afternoon winds of Lake Atitlán. In fact, storms can rise up suddenly and if you are stuck out on the Lake at this time you will find yourself hoping and praying for delivery! Everyone going home for the day. Our boat going back to Pana from San Marcos is full. Sides of the boat have rolled down plastic windows to keep those on the outside seats reasonably dry from the agitated waters which splash into our boat as we bang across the waves. If you are not inclined to seasickness, like adventure, and are familiar with the ways of water, then you probably won't be affected by this vigorous ride. The lake is deep, the water is cold and the day had been long. What started out as a clear morning filled with wonder and possibility ended up being replaced by an early dark evening of cold winter. I couldn't wait to return to my warm hotel room and have some hot soup! Our next stop, one of the America's most enchanting colonial cities: Antigua!